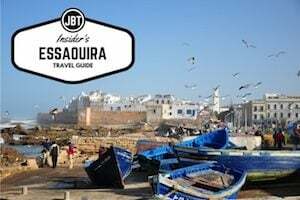 So you think you know everything there is to know about visiting Morocco? You may be surprised to discover some of the following anecdotes that we have learned over our time in this amazing country. Compare your notes with our checklist and get ready for an amazing adventure! Not everything will be cheap. Yes, Morocco is on the African continent. No, it is not a fully developed Western country. But, if you think that means you’ll be able to get by on rock-bottom prices, you’re mistaken. Being just a quick flight from Europe makes beautiful, safe, and exotic Morocco a tourist’s paradise – and prices reflect that. You may be able to get things like local street food or locally made products cheaply, but expect to pay for amenities like high-end restaurants, hotels, and riads. There certainly are deals to be found, just don’t expect them to be similar to what you may find in Southeast Asia or Latin America. Don’t trust Google Maps to give you accurate estimates for driving times. Local roads don’t look like they do in the west. Think people (and the occasional goat or donkey) walking in the street, winding mountain roads, lots of honking, people practically running in front of the car to peddle their wares, and traffic rules that are usually treated more like suggestions. If you’re traveling through mountain passes you will be going variable speeds and hopefully taking your time on windy stretches. Google Maps doesn’t account for these anomalies. The combination of all of these factors means traffic is highly unpredictable. Don’t over schedule yourself thinking that you can trust online or GPS estimates. On the same note, GPS systems don’t always work in the medina’s of cities. Ancient streets that twist and turn as well as lead to dead ends are not fully programmed into these applications. While they may be able to offer you a basic idea of where you are and where you’re going, don’t completely depend on them. Make an effort to dress modestly. Morocco may not be as strict about dress code as some other countries, but that doesn’t mean you should dress the same as you do at home. While many Moroccans dress in western clothing in urban centers you will find it less so off the beaten path. Females exposing skin should expect to receive significant amounts of attention, especially in smaller towns and villages. Both men and women should dress with modesty in mind to respect Moroccan cultural norms; for women, think maxi skirts or long pants, and avoid sleeveless, crop tops, or low-cut shirts. Men’s dress will be less closely examined but should still adhere to the same principles; shorts are uncommon. The weather won’t always be hot. You’ll be sure to encounter your fair share of incredibly hot weather during Moroccan summers, but the temperatures actually vary quite widely depending on season and location. Winters in some areas can be mild and often wet, especially in high elevation areas of northern Morocco where cooler rains and even light (and sometimes heavy) snow can be found. In many areas, the temperatures plummet at night. Be sure to check the weather in advance and pack accordingly. Layers are your friend. If you ask a salesman how much something costs, his answer is just a starting point. He probably expects you to counter with an offer that’s about half as much as the original number, with the intention of settling on a price somewhere in between. Bargaining is the name of the game in Morocco. Don’t get taken advantage of, but do keep in mind that while bargaining may be fun and games for you, it’s how shopkeepers make their living. For those who really want to support Moroccan artisans and craftsman, check out more information about Anou, an online marketplace directly supporting local community artists. Change your concept of time. Everything moves slower in Morocco. Don’t be surprised if buses aren’t perfectly on schedule or take a stop for passengers to get snacks or lunch along the journey. Don’t be surprised if you show up somewhere at a pre-arranged time and discover that you’re the first one there. Just like many traffic laws, meeting times are really mere suggestions. Instead of getting frustrated, embrace the Moroccans’ relaxed nature and enjoy your down time. Learn to speak a few words of French or Arabic. 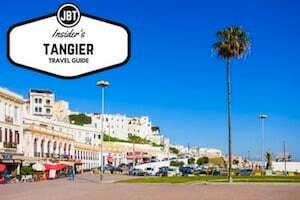 While Moroccans that specifically cater to tourists may have a basic command of English, much of the country’s history as a French protectorate has made French the more commonly spoken “global” language of doing business in Morocco. Of course, Arabic (and specifically, the darija dialect) is the native tongue and will score you points if you want to get the most out of your trip. A few words can go a long way. You can find a variety of delicious food, but you need to know where to look. On the surface, it may seem like everywhere you turn the same foods are on offer – couscous and tagines, mint tea – but the world of Moroccan cooking is much more diverse than that. 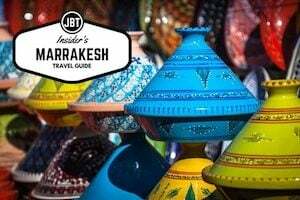 From avocado smoothies to shakshouka to harira soup and delicious “halawet” (sweets), Morocco really can be a foodie paradise. For the foodie traveler, consider taking a food tour or cooking class. Also, don’t be afraid of street food. Use good judgment and go where there’s lots of locals – it’s a good indicator the food is good as well as safe to eat. Don’t let these differences get you down – embrace them as a part of a unique experience! If you have more questions about visiting Morocco or want help planning your visit, get in touch with us today. We provide customized, private experiences for travelers who want to get beyond the tourist trail and experience authentic Morocco.